Minervois la Livinière is something of a first in the Languedoc: a commune within a commune, the first step towards a Burgundian-quality pyramid perhaps. Created in 1997, it covers 200 hectares and is focused on four villages in the foothills of the Montagne Noire. The percentage of Syrah and Mourvèdre must be at least 40, and several of the wines are treated to generous barrique ageing. Minervois la Livinière is something of a first in the Languedoc: a commune within a commune, the first step towards a Burgundian-quality pyramid perhaps. 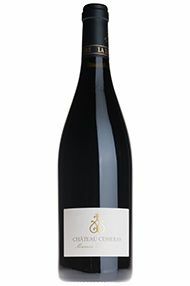 Created after extensive campaigning in 1997, Minervois la Livinière covers 200 hectares and is focused on four villages in the foothills of the Montagne Noire, the key trio of which are Siran, Cesseras and La Livinière itself. The percentage of Syrah and Mourvèdre must be at least 40, and several of the wines are treated to generous barrique ageing. Although the appellation has yet to live up to its early potential, specifically in terms of reputation, it is now producing some of the best wines in the region. Producers such as Pierre-André Ournac at Domaine De Coudoulet and Frantz Venes at Massamier La Mignarde are making very fine wines, with plenty of terroir influence to underwrite the Mediterranean sunshine.